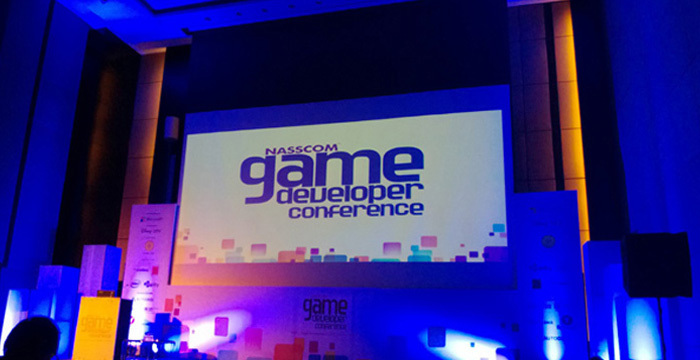 NASSCOM Game Developers Conference (NGDC) is India’s largest, and best known, confluence of game developers, publishers and decision makers in the ecosystem. Recognizing the burgeoning games market in India, NGDC, is dedicated to the advancement of interactive entertainment through talks, panels, super-pitches, tutorials and more, the NGDC is aimed at bringing to the forefront the exciting gaming ecosystem that exists in India. The conference was scheduled on 9-11 November 2017, HICC, Hyderabad and was bigger than ever. Playware’s Creative Director Siddharth Jain was invited to present a workshop at the conference. This workshop takes its participants through a series of facilitated tasks and challenges that take them through a process of creating an interactive narrative that allows its intended audience to make authentic and meaningful decisions with the view to advance their decision-making capabilities and skills. It is a deep-end dive in into creative competencies such as; narrative world building, scriptwriting, cognitive task analysis and game design. This workshop is designed as an introductory session to interactive narratives for corporate trainers and adult educators.